School’s out (or nearly finished) – so what are your blogging plans this summer? Perhaps you’ll be taking a complete break, or you could be using the extra free time to blog more than ever? It’s your blog, so it’s your choice. What do you intend to read for fun this summer? What new books are in your library? Is there an old favorite classic book you want to revisit? We bet you’ve been playing the latest craze. How are you getting on? Are going for lots of long walks? How many Pokemons have you found? What are you wearing differently this summer? Could you make your own clothes or rework some old ones? Get creative and show us your style. Take time to cook a recipe for your family and share it with your readers. How many of your five a day fruit and veg can you pack into a smoothie and still make it taste good? If you go somewhere on holiday, share a review with your blog readers. Take your camera or phone for a walk and take a few pictures to share on your blog. Are flowers in bloom? Can you see fruit growing on trees and bushes? Have some of the leaves started to turn to Autumnal shades? Take photos from lots of different angles so you notice things you don’t normally see. Just let your imagination go crazy and see where it takes you. This isn’t a homework assignment, it’s just for fun, so have fun doing it. What do people need to know that’s great about your area? Could you tell a little of the local history? How about a guide to fun places to visit? How many Star Wars movies can you get through in one day? What do you notice that you haven’t noticed before? Could you get together with friends and each pick a favorite movie? Live blog it so readers can follow along at home. 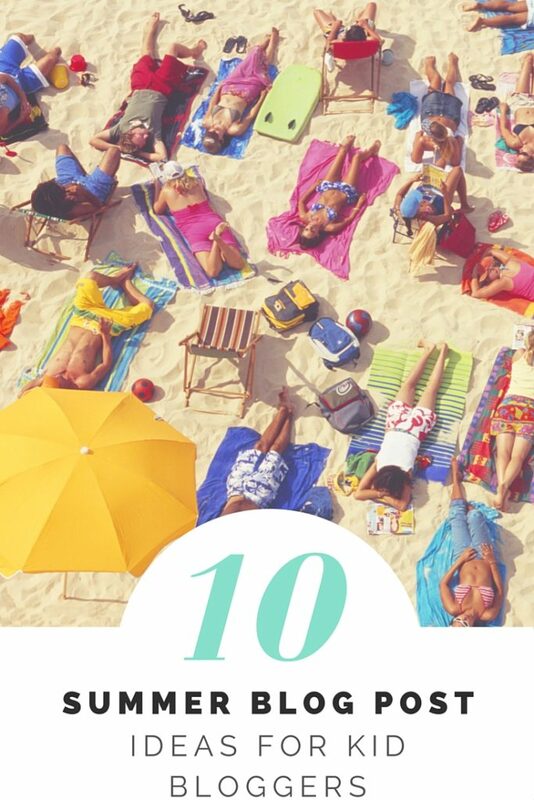 And if that’s not enough summer blog post ideas, here are 10 more. What have you been posting about lately? Leave us a link below. I like it! I would write a tourist guide for my blog.